Ryerson journalism professor April Lindgren and the not-for-profit National NewsMedia Council – an alliance of the former provincial press councils – are conducting the research. Questions on the survey deal with everything from the number of reporters on staff and journalists’ perception of job security to the use of social media and the major challenges facing local newspapers. Statistics from the Local News Map produced by Lindgren and the University of British Columbia’s John Corbett point to a sector in decline. 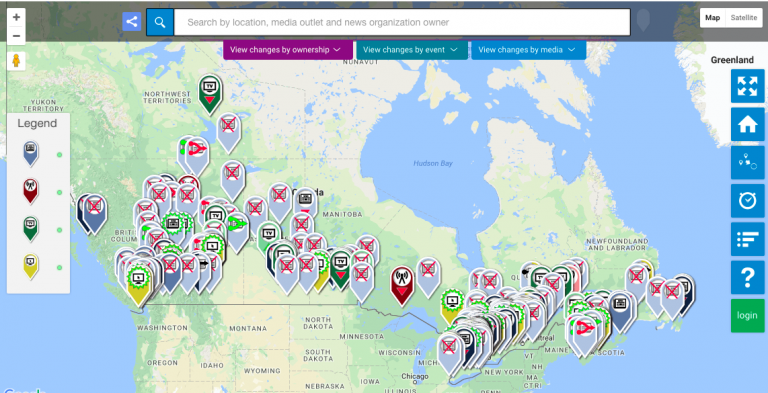 The 238 markers on the map documenting the loss of local news outlets since 2008 include 212 newspaper closings in 164 communities. 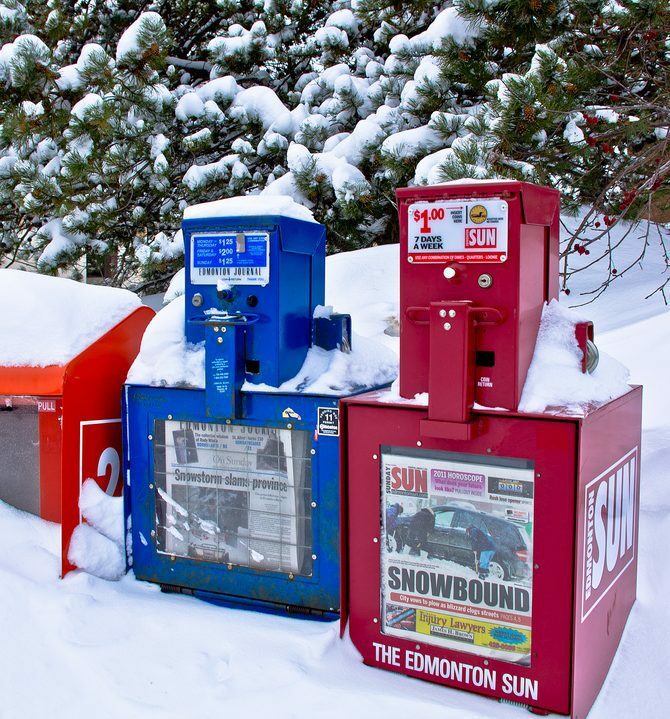 Most were community newspapers that publish fewer than five times per week. “We know from the Local News Map that there has been a high mortality rate for small-market papers, so the question is, ‘What is life like for the people working at the remaining publications and how do they see their prospects?’” Lindgren said. Not everyone is writing newspapers off, she noted. In December 2017, Alberta-based Star News Publishing sold the Prince Albert Daily Herald to a group of employees led by publisher Donna Pfeil. Similarly, former employees in some cases are getting into the publishing business as Transcontinental sells off its weekly newpaper portfolio. The questionnaire, which is based on a similar survey of 420 respondents conducted in the United States between November and December 2016, includes additional queries about newsroom diversity, ethics education, and efforts by smaller-market newspapers to engage audiences through events such as town hall meetings and the creation of community advisory boards. Brent Jolly, the director of communications for the National Newsmedia Council, says the ethics questions in the survey explore how journalists access information regarding ethical issues and social media in particular. Lindgren said the research team will be encouraging journalists who work for ethnic newspapers to respond to the survey in particular. shrinking newsrooms: 59 per cent of survey participants said that the number of staﬀ in their newsrooms had shrunk since 2014.
recruitment challenges: Low pay, long hours and limited opportunities for career progression make it difficult to attract and retain young journalists. a long-hours culture: Many respondents reported that they regularly work more than 50 hours a week. mixed feelings about job security: 51 per cent of respondents said they feel secure in their positions. The Canadian survey responses will be released later in 2018. The results will be made available via social media and on various websites including that of the Ryerson Journalism Research Centre, the National NewsMedia Council and the Local News Research Project. This article was originally published on the Ryerson Journalism Research Centre. Read the original article.